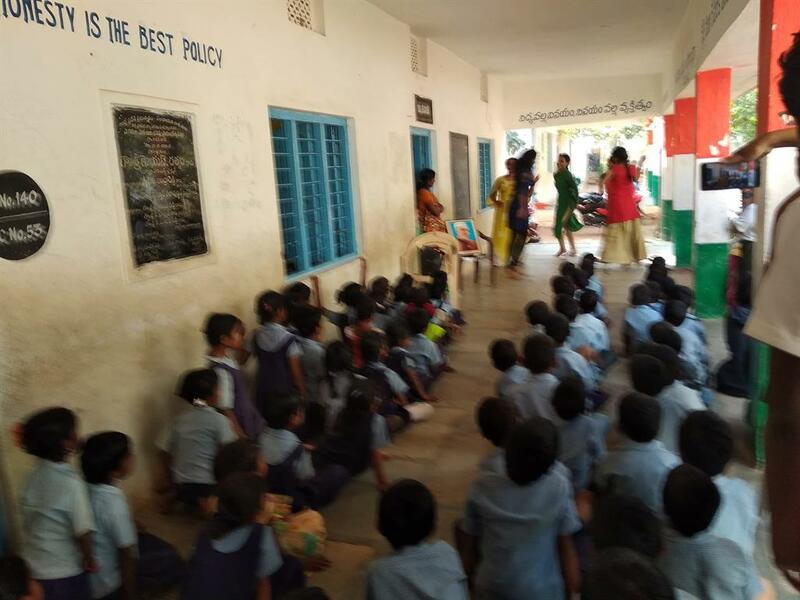 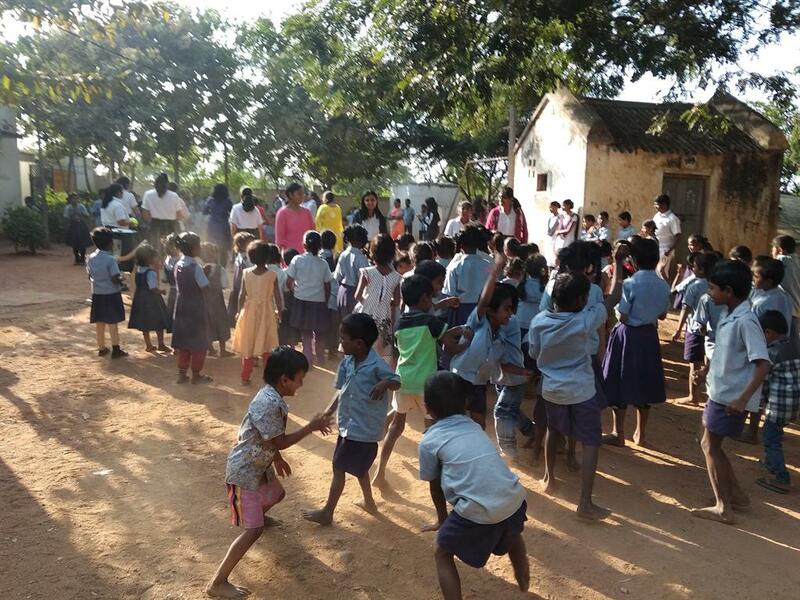 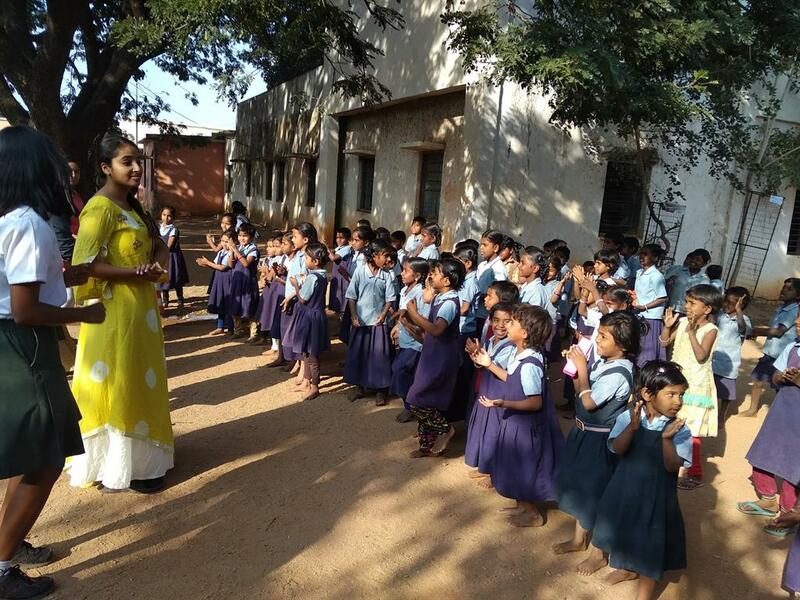 The Children’s day was celebrated on the 13th November, 2018 at the village primary school in Aziznagar. 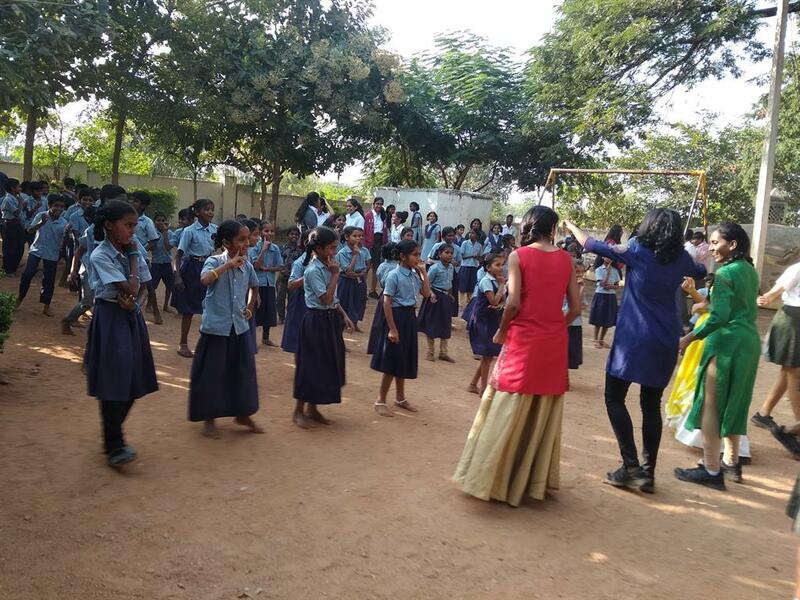 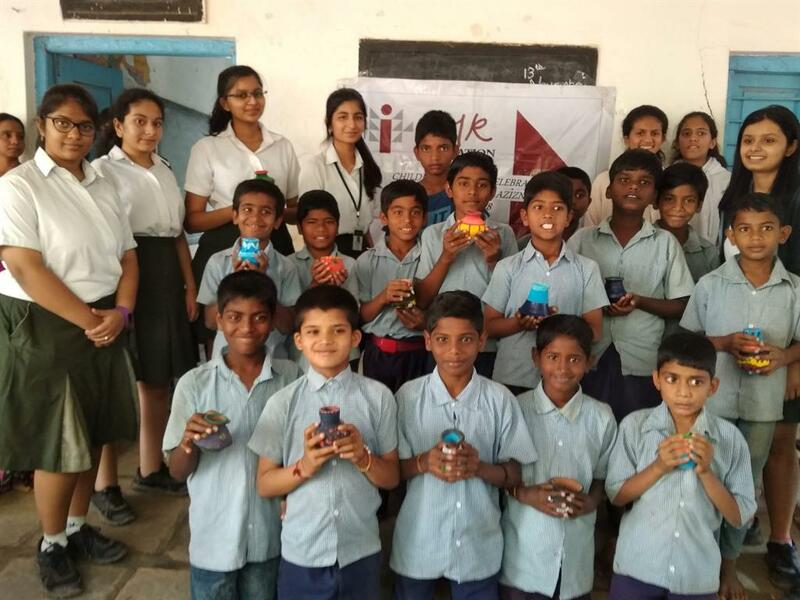 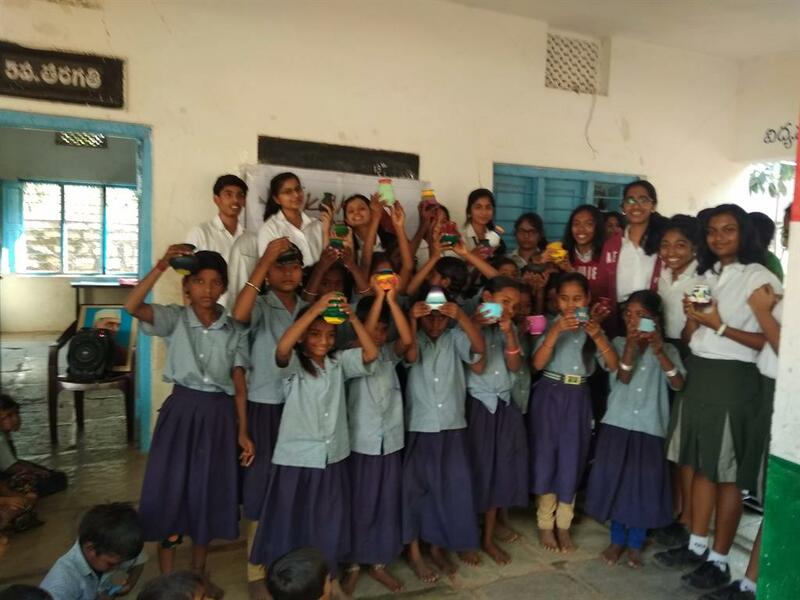 The students from grade 9 of Sreenidhi International School planned for a fun filled exciting program with activities and interesting Games to entertain the children of the Aziznagar village school for Children’s Day celebrations. 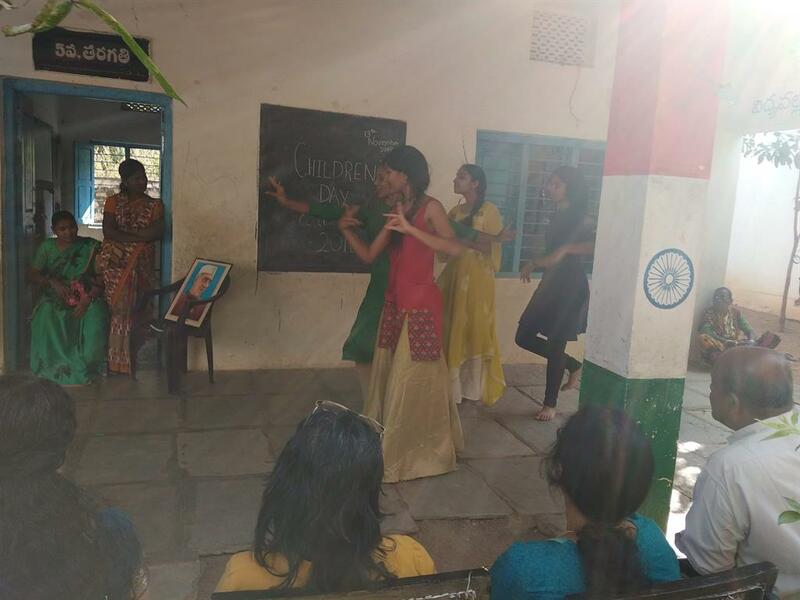 They also conducted a quiz program followed by a dance where in all the students enjoyed singing and dancing to the tune. 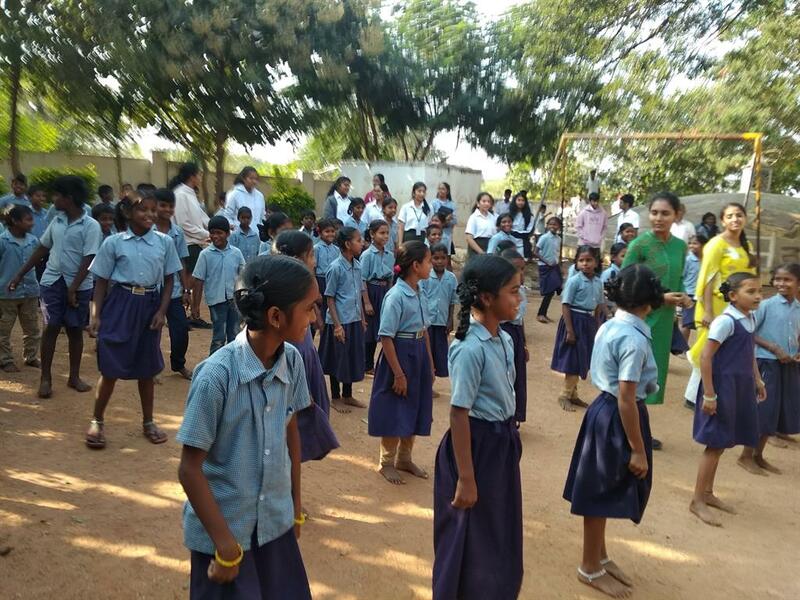 They also danced for Telugu songs that were played by the Sreenidhi students. 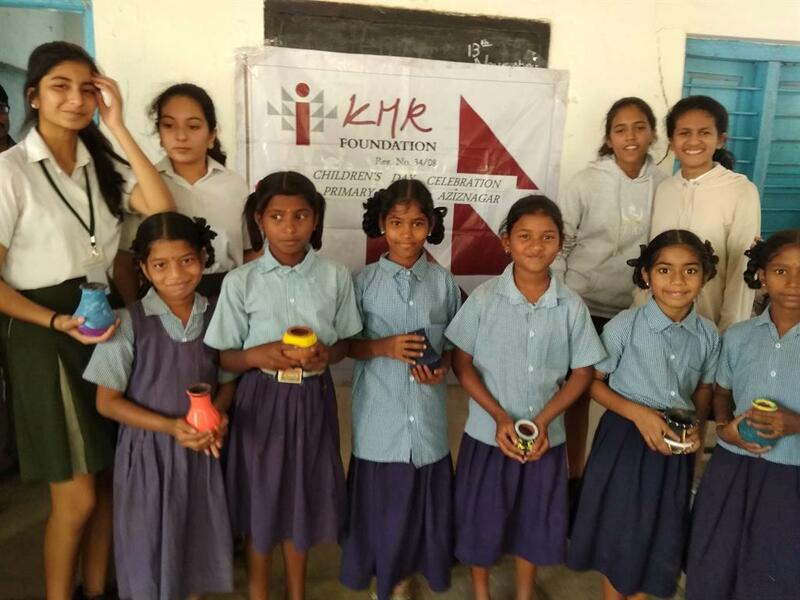 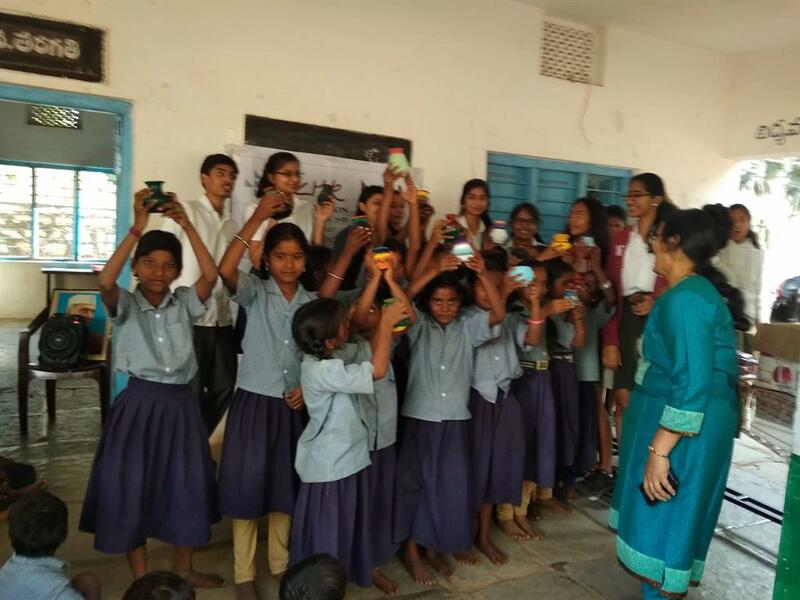 It was a nice gesture from the part of students of Sreenidhi that they gifted hand painted flower pots to grade 5 children in view of Children’s’ Day. 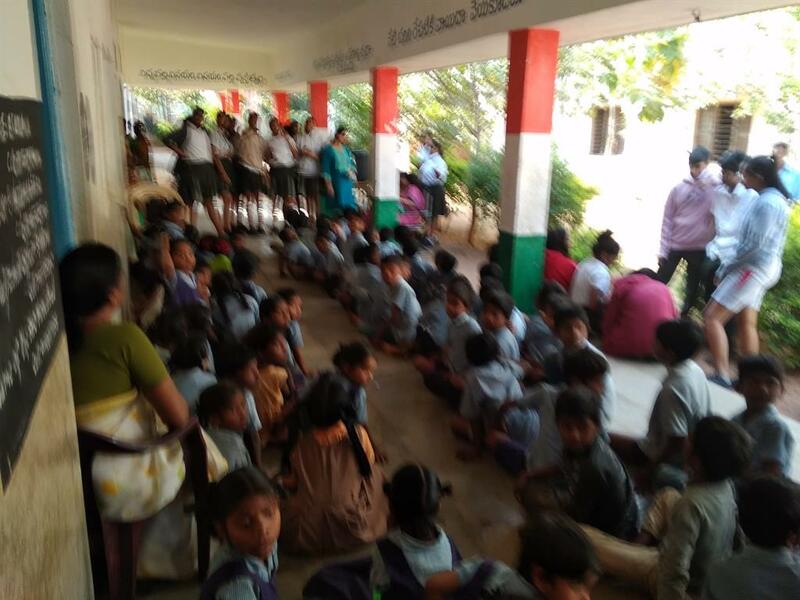 All the students were supplied with snacks and sweets at the end of the program in view of Children’s Day.